Flax weaving in New Zealand is an art form. Our weavers are innovative, creative and currently taking it to a whole new level. You wouldn’t believe what they can create, and it’s all done by hand. It takes hours and sometimes years to complete a piece. The roots of modern day flax weaving in māori culture began with the arrival of our ancestors. Imagine landing in a new country with no idea about the terrain or the climate. That's what it was like for our people when they first arrived in New Zealand. There was no way of finding out what it was like in advance, no internet to research, no one to call. Then imagine, mmm, it's a tad cooler here (that’s an understatement). What would you do? How would you survive? 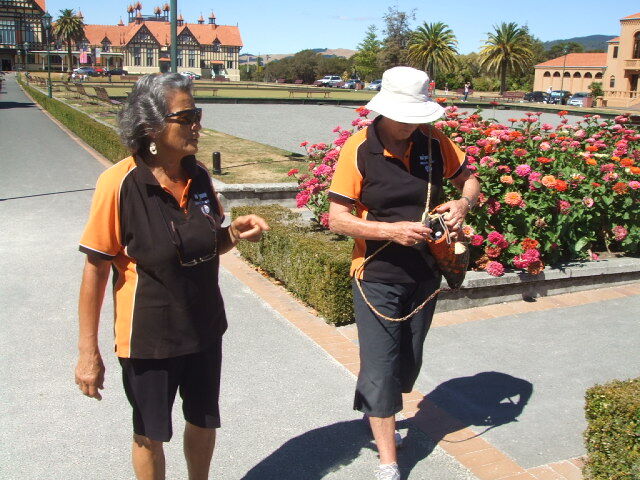 For these intrepid travellers, flax (harakeke) played a big part in ensuring that survival. The women brought with them the skills of raranga or flax weaving, they already knew how to weave baskets and mats. It was simply a matter of adapting this skill to make use of the flax. 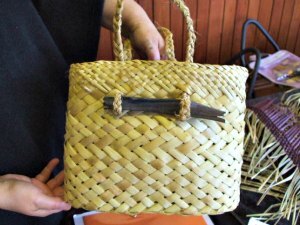 They worked out that by using a mussel shell to cut, then scrape, the hard outer fiber of the flax leaf, a soft inner fiber (muka) was exposed. Perfect. They used both the inner and outer fibers to make clothing, fishing nets, floor mats, baskets, and ropes etc. They even had raincoats. Neat huh? Harakeke was also used for medicinal purposes. 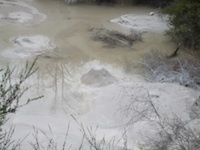 Different parts of the plant helped to get rid of intestinal worms and aided in the healing of burns for example. You have to wonder, how did people from earlier times suss out whether plants and berries were poisonous or not. Did they do their testing with animals? I suppose they noticed what berries birds ate, and at what time of year. I don’t know about the testing of plants and roots though. 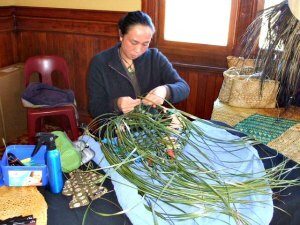 Raranga or the art of flax weaving, mainly carried out by women, has been passed down through the generations. Like a lot of the arts in māoridom though, it could so easily have been lost as tribes scattered to the winds of urbanization. 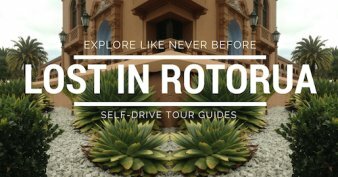 Rotorua has always been a stronghold for māori, (I saw somewhere that we have the highest percentage of máori in the country here) and with the steady influx of visitors right from earlier times, these arts have continued to survive. It's what visitors want to see. Thanks for that visitors. So we know that the art of weaving is passed down, but also associated with that is the passing down of stories, history, songs and the rituals. Some of the rituals (there are tribal differences) can include no eating or drinking around the weaving, no weaving when a woman is menstruating or when ill. There are the ways to gather, cut and dispose of the surplus flax and then it was usual to give away, throw in a river or bury your first piece of work. Quirky huh? Articles were created either freehand for simple objects like baskets (kete), or by using two upright poles with the women sitting on the ground for larger, more complex garments like cloaks. Nowadays there is a frame and chairs are used to sit on. With framework they would weave from left to right and it would depend on the garment being made whether it was top to bottom, turned around and taken back up, or from side to side, but hanging vertically as it’s woven. (My understanding of this is not very clear. A reader (weaver) may be able to help explain this better). Embellishment of the articles and garments included the use of natural dyes, feathers, tags (black dyed cords), and wool (once the European arrived). Reading back on that previous paragraph it’s so dead isn’t it? I’ve given you the facts but how do I bring them to life for you. I don’t know if I can even begin to describe how, when you look at some of these garments, they breathe and sparkle with a life force of their own. There’s an essence, an energy present, which is really, really beautiful, at least it is for me. 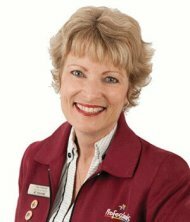 If you visit let me know what YOU think, I would be really interested to hear. In fact, māori talk about the concept of ‘mauri’, it means a hidden essential life force or symbol of this. Mauri is in everything for us as it probably is for you also. I think that when it comes to the weaving of flax, or any of the arts for that matter, that the object can't help but take on some of the energy of the artist. 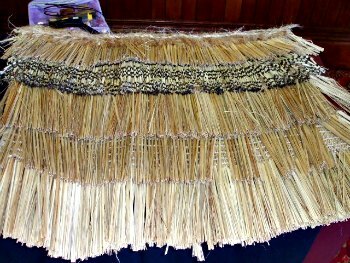 We have flax weaving schools now that help to keep this form of art going strong. 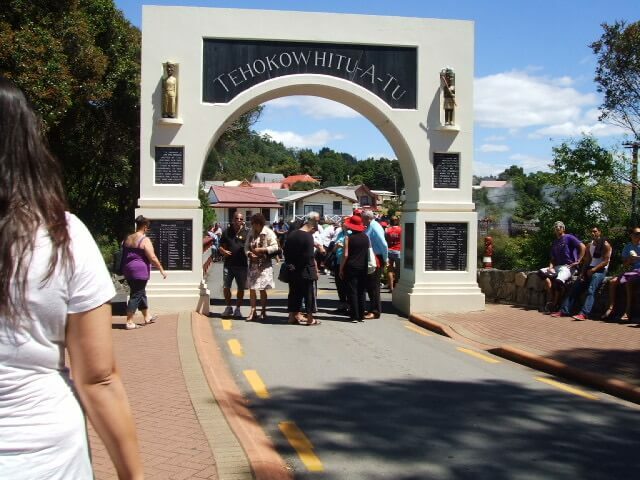 In Rotorua itself, we have the National Weaving School (Te Rito) based at Te Puia (NZ Máori Arts & Crafts Institute). 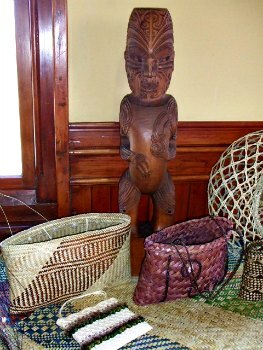 In 2012, the Rotorua Museum hosted an exclusive exhibition, Ngā Whakatupuranga - Generations of Weaving, which featured 50 works from very talented New Zealand weavers. Traditional and contemporary pieces intermingled to create a stunning visual feast. Here's an excerpt from the media release - "Weaving, like many aspects of Māori culture, has been passed down from one generation to another. Retaining, treasuring and developing the teachings of past generations are the responsibility of present generations. Ngā Whakatupuranga showcase[d] several innovative developments with traditional weaving techniques. Gorgeous woven korowai (full length cloaks) and hieke paheke (capes) [were] adorned with feathers from kereru, peahen, pukeko and pheasant. 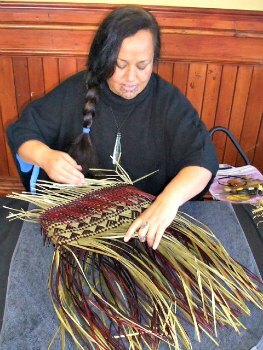 Intricate turapa (wall panels) and kaitaka (cloaks) are woven using harakeke (flax) and kakaho (reeds)."